Great location and nice control of the motion. 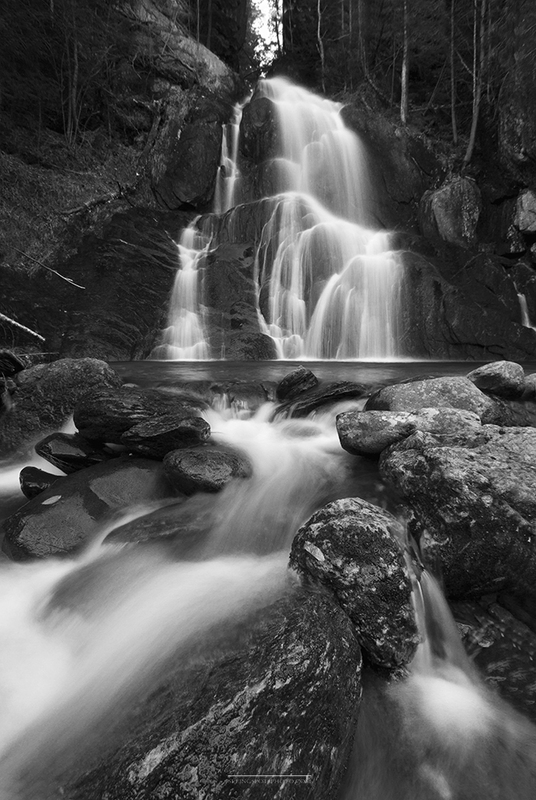 A waterfall, B&W plus slow shutter speed… one of my favourite things ever! Beautifully done! Love it in monochrome and your shutter choice works perfectly.